David Le/Gloucester Daily Times. 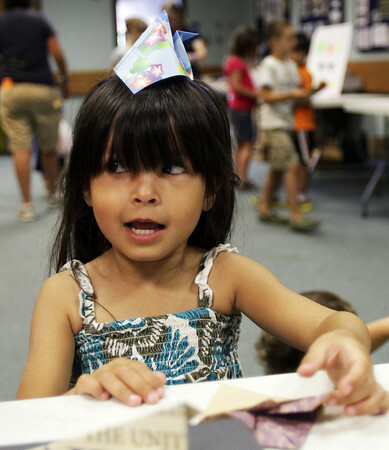 Elaina Funk, 6, shows off an origami hat she just made at Origami Around the World held at the Gloucester Lyceum and Sawyer Free Library on Monday morning. 7/11/11.